Adventure Golf has transformed miniature golf into the 21st Century. Our new course design, overlooking Lake Lily and starting with an unusual waterfall and cascading streams from atop our own Stone Mountain, is like no other on the East Coast. Varying elevations, architectural mounds and dramatic landscaping complement the new state-of-the-art greens with their subtle undulations, sand traps and water hazards. A whole new element of excitement now challenges the entire family resulting in FUN FOR ALL AGES! 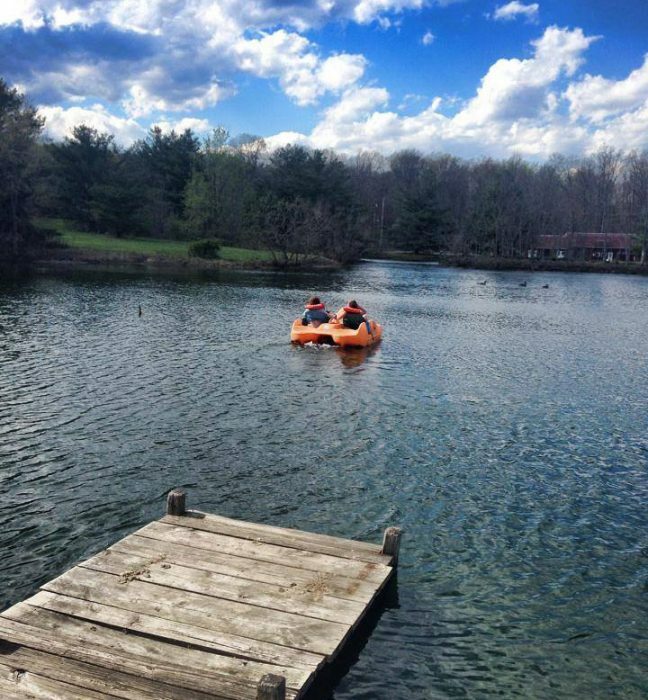 After a friendly putting competition on our 19-hole course, relax with a stroll around our lake, a lakeside picnic, a bit of bass fishing, or rent a kayak or paddleboat for a refreshing cruise. 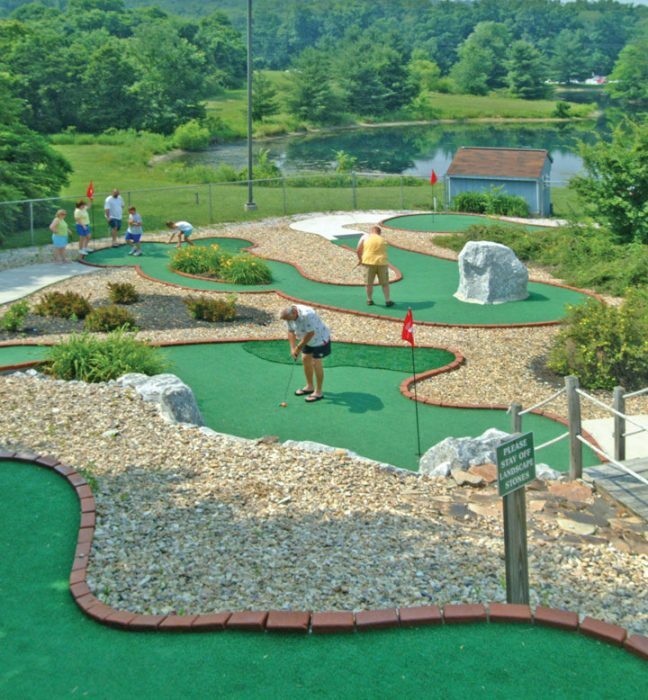 Granite Hill Adventure Golf is also perfect for birthday parties and group outings. The course is open daily (weather permitting), with reduced rates for daytime play (prior to 5:00 PM), children (under12), senior citizens, and golfers who choose to play two consecutive rounds of 19 holes. Granite Hill Adventure Golf is clearly Gettysburg’s best!